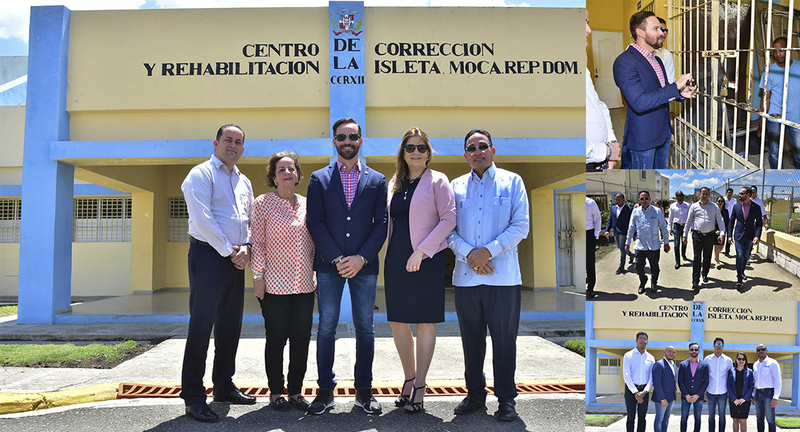 The Therrestra Founder and CEO, Hugo Pérez Ovalles, issued a visit through the facilities hosting the Moca Correctional and Rehabilitation Center, hoping to establish partnerships and aid, as part of the company’s CSR Plan. Within the framework for said visit, Engineer Pérez, alongside Bernardo Hernández, Director to the Center, went over a series of potential joint ventures to favor and drive forward all learning possibilities for the inmates and patients. Pérez, a Moca native, stressed the importance that learning and skill-building play in the penitentiary facility towards inmates, to help them reinsert themselves within a competitive labor market. “It gives me great pleasure to see the way in which the inmates show their willingness to become better through the work they do in the center. Therefore, I’ve wanted to seek ways to collaborate, so that at in due time, they can even come to work in my company”, Pérez stated amid conversing with the director. Among the visitors, were also members of the Patronato de Moca (*Moca Board), its chairman Victor Abreu, and a representative thereof, Ida Cáceres. Also present was the deputy mayor of Moca, Judith Valdez, with whom Pérez reached a financial agreement for the broadcast of social outreach programs.